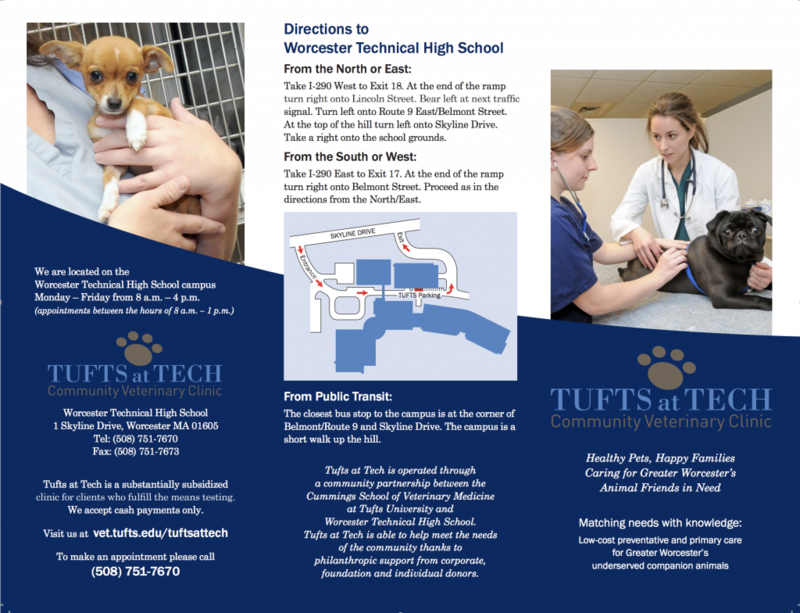 Tufts at Tech is located on the Worcester Technical High School campus. Call us at 508-751-7670. Take I-290 West to Exit 18. At the end of the ramp turn right onto Lincoln Street. Bear left at the next traffic signal. Turn left onto Route 9 East/Belmont Street. At the top of the hill turn left onto Skyline Drive. Take a right onto the school grounds. Take I-290 East to Exit 17. At the end of the ramp turn right onto Belmont Street. At the top of the hill turn left onto Skyline Drive. Take a right onto the school grounds. The closest bus stop to the campus is at the corner of Belmont/Route 9 and Skyline Drive. The Campus is a short walk up the hill. 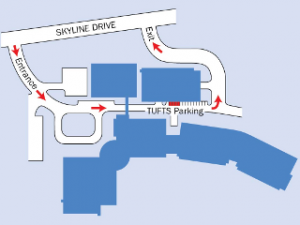 Tufts at Tech business hours are 8 am – 4 pm and appointments are available between 8 am – 1 pm. 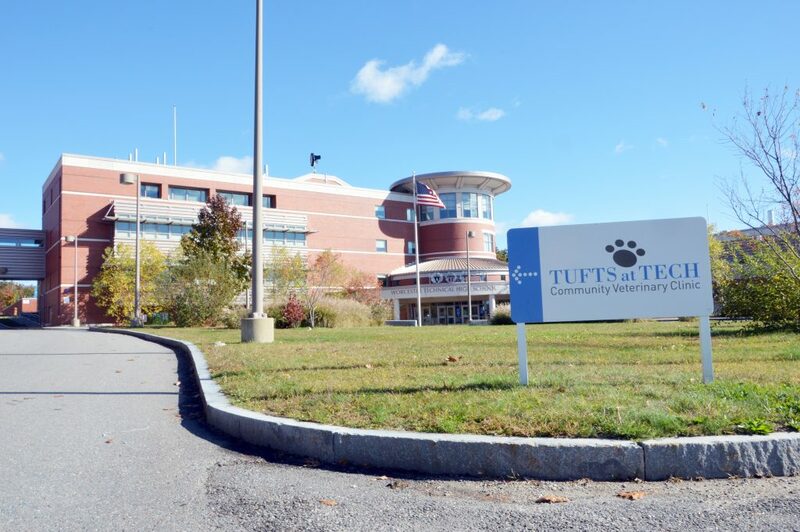 Tufts at Tech is operated through a community partnership between Cummings School of Veterinary Medicine at Tufts University and Worcester Technical High School. Tufts at Tech is able to meet the needs of the community thanks to philanthropic support from corporate, foundation and individual donors.